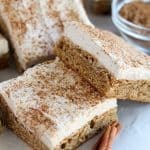 Chai Spice Cookie Bars – Soft and flavorful cookie bars filled with the comforting flavors of chai spice and topped with a thick layer of vanilla-chai frosting. Hello, friends! 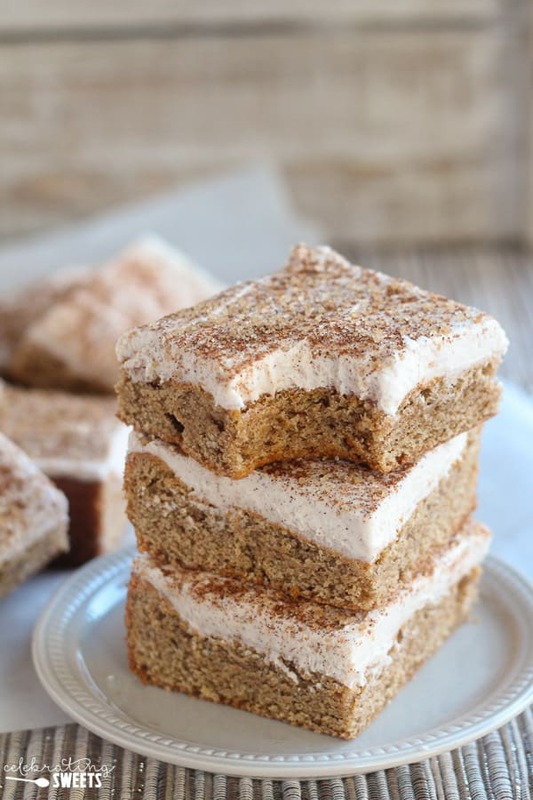 Today I’m bringing you the coziest dessert ever: Chai Spice Cookie Bars! I vote that we take the next week off work/school/real responsibilities and bake holiday treats non-stop. Who’s with me?! The chilly weather has me craving all things warm and comforting. I currently have my hands wrapped around a big mug of piping hot chai tea. I’ll wait here while you get yourself a warm beverage. We have holiday baking to discuss! This is the month for baking and sharing sweets (I’m so happy I could squeal). Sometime soon you’ll need a recipe for a cookie exchange, a treat for house guests, or a little something to nibble on as you wrap those gifts and finish trimming the tree. This here is the ideal recipe for all your holiday needs. The comforting flavors and warm spices make this the ultimate crowd pleaser. 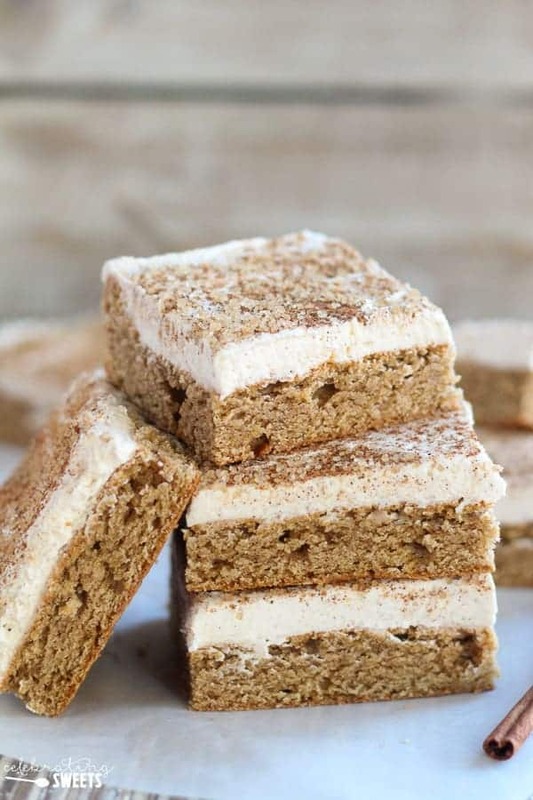 What we have here is a thick and soft chai spiced cookie bar topped with a vanilla-chai spice frosting. Since we’re making bars instead of individual cookies this recipe is quite simple. The cookie dough gets pressed into a pan and then baked. Once cooled, a quick frosting is made and spread across the whole pan of bars. These bars are made extra delicious by the use of Bob’s Red Mill Organic Unbleached White All-Purpose Flour. I can’t speak highly enough of Bob’s Red Mill products, and I am always thrilled to partner with them. 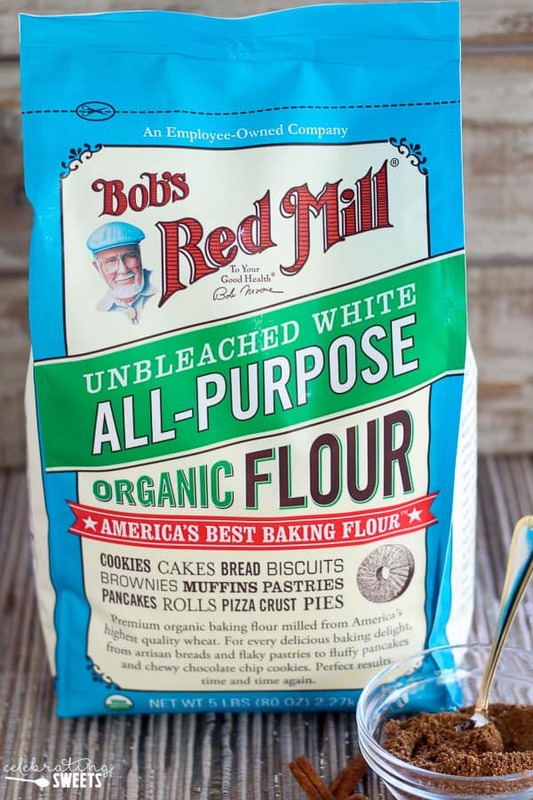 Year round I use a variety of Bob’s Red Mill products (pancake mix, cornmeal, almond flour, muesli, oats, couscous) but, during the holiday season, I always make sure I have a large bag of their all-purpose flour on hand for all my baking needs. This is the same high protein flour used by professional bakers. It produces high, well-textured loaves of bread equally as well as it produces light, airy baked goods. It is made from freshly milled organic hard red wheat and it is not enriched with any additives. You will love baking with it! Here are some coupons towards Bob’s Red Mill products. All that’s left to do is grab these ingredients and get baking. The holidays are calling! 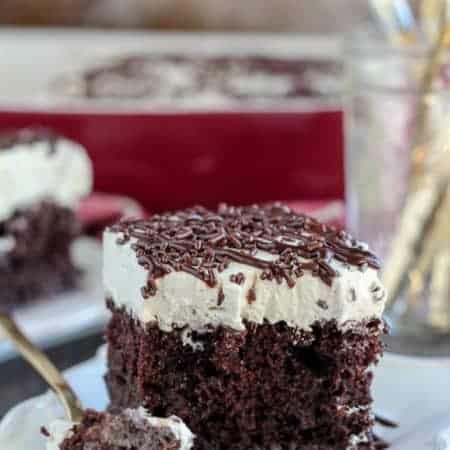 Soft and flavorful cookie bars filled with the comforting flavors of chai spice and topped with a thick layer of vanilla-chai frosting. Preheat oven to 350°F. Grease a 9x9 baking pan. 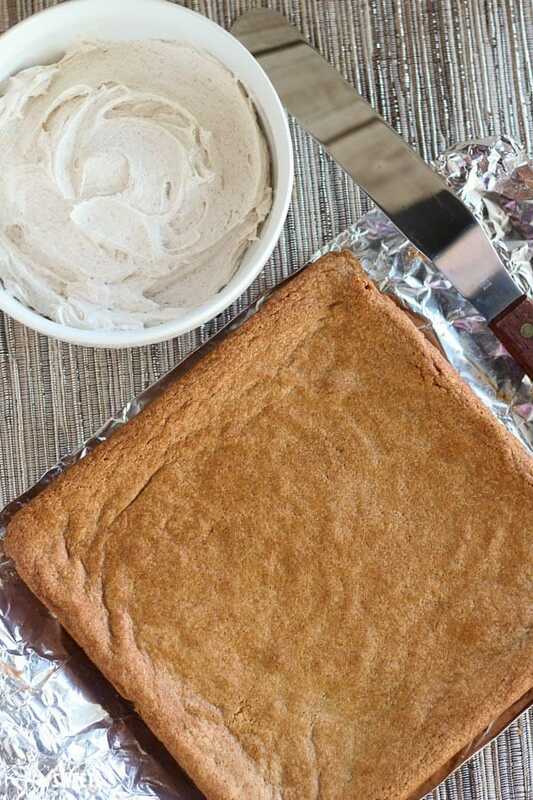 You can also line the baking pan with foil, leaving a couple inches of overhang on two sides (this will allow you to easily lift the whole pan of bars out of the pan). Spray or grease the foil. Using a hand mixer or stand mixer, beat butter and sugars on medium speed for several minutes, until light and fluffy. Add egg, egg yolk, vanilla, and sour cream and beat until combined, scraping the sides of the bowl as necessary. In a separate bowl, combine flour, baking soda, salt, and 4 teaspoons chai spice. 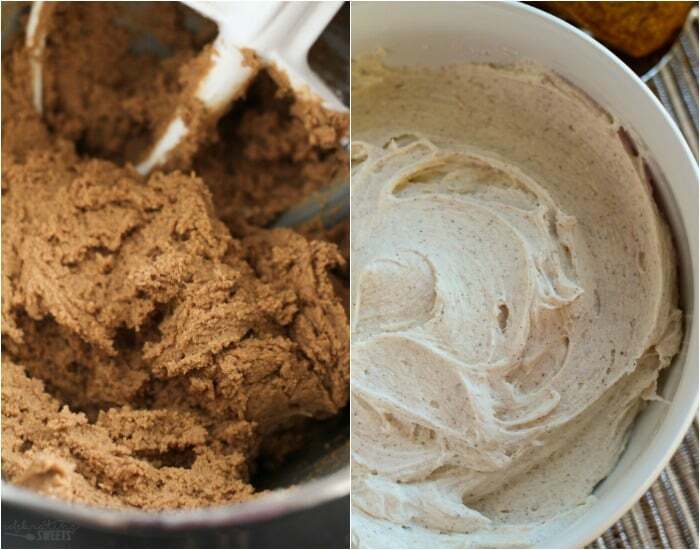 With the mixer on low, slowly add the the dry ingredients to the wet and mix until just combined (do not over-mix). Spread the dough into an even layer in the prepared pan (it will be thick). Bake for 20-23 minutes, until a toothpick inserted into the center comes out clean and the center no longer jiggles. Be careful not to over bake. Cool completely on a wire rack before frosting. 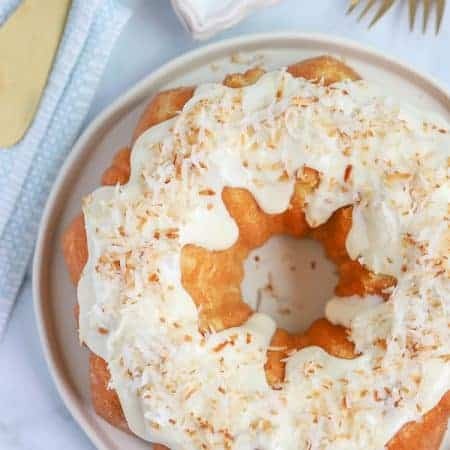 With a hand mixer or stand mixer, beat butter and powdered sugar for 1-2 minutes, until light and creamy. Add half and half, vanilla extract, and 2 teaspoons chai spice. Beat until completely combined, scraping the sides of the bowl as necessary. Spread the frosting on top of the cooled bars. If desired, combine the topping ingredients and sprinkle over the frosted bars. Chai spice mix: 1 teaspoon cardamom, 1 teaspoon ground allspice, 3 teaspoons ground cinnamon, 1/2 teaspoon ground cloves, and 3 teaspoons ground ginger. Store leftovers in your spice cabinet. These look and sound amazing!! 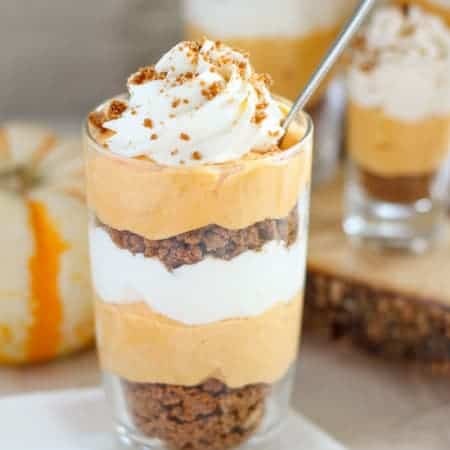 I love chai but never thought to put it in a dessert! I’m going to have to try these out soon! They sound so good! 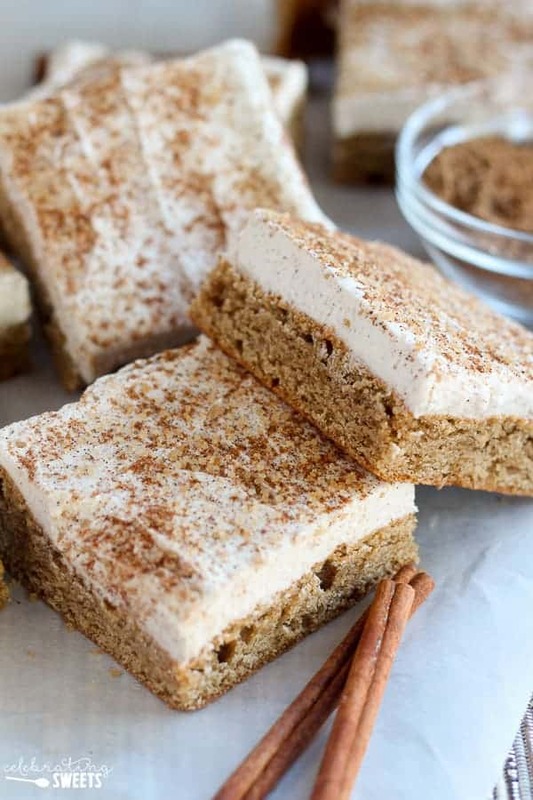 Chai Spiced anything is one of my favourite treats so I am stoked to try out this recipe! These look so delicious! perfect for a rainy evening in with Netflix! Oh my god I absolutely LOVE cookie bars! Need to try this! Have made these two times and I really like them. The chai frosting alone puts a smile on my face. Do not over bake the bars… they will get too dry very quickly. If you can keep the bars moist, these are really yummy. I’m so glad that you liked these, Matt. Yes, overbaking will ruin them. Thanks for stopping by! If you are from India, buy Bobs Red Mill from India.